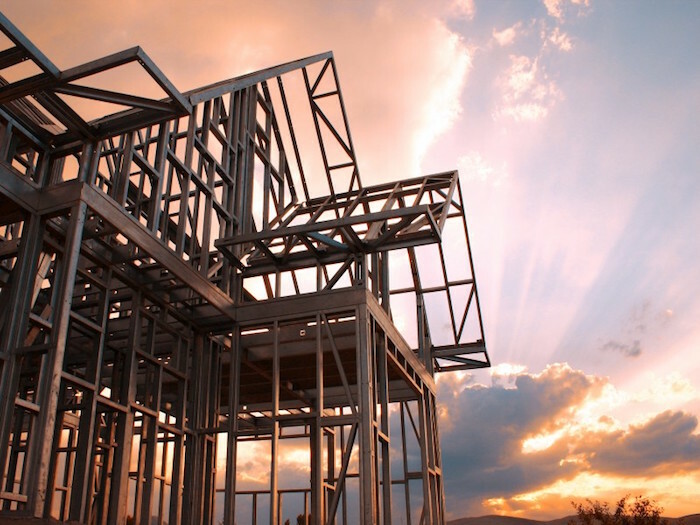 Light Gauge Steel (LGS) or Cold Formed Steel (CFS) construction is a practical, code approved solution to many of the limitations that builders face today when using traditional construction materials. LGS construction methods using the FRAMECAD System make for faster build times, lower overall costs, more versatile, scalable design solutions, and better building performance. When these advantages are combined with the innate characteristics of steel, such as non-combustibility, termite and mould resistance and dimensional stability, LGS / CFS construction provides the framework for a solid, sustainable building programme. FRAMECAD have been providing LGS/CFS construction solutions around the world for over 25 years and has developed relationships across industry leaders, governments and businesses around the world. Our new eBook, “The Future of Construction – The case for building with Cold Formed Steel” explores the trends shaping the future of the construction industry as well as the benefits and best applications of LGS/ CFS buildings throughout the global construction industry. The following are 5 key reasons why CFS/ LGS construction methods using the FRAMECAD System are superior to traditional building methods. LGS construction is faster than traditional methods, especially during manufacture and construction phases of a project. CFS fabricators supply frames pre-assembled, strong and straight, and clearly identifiable. No on-site, welding or cutting is normally required. This means that the erection process is fast and simple. Advanced tooling functions provided by systems like the FRAMECAD System allow high productivity and versatile output to produce roof trusses, wall frames, and floor joists — all to exact measurements, saving time in the construction stage. Shorter construction times result in reduced hard costs of your projects. As an example, by building with LGS over traditional heavy materials like concrete and masonry, you can shave 3 months or more off the schedule of a mid-rise project. Highly-skilled labour on-site is not needed. When you work with extremely accurate design software like the FRAMECAD System, pre-engineered steel framing is cut to specified lengths, labelled and pre-dimpled, making assembly simple, fast and accurate. And the only tool needed for assembly is a power drill and provided screws and fasteners. Due to its ease of assembly, less skilled labour is needed on-site, which has obvious bottom-line benefits. The strength and ductility of LGS makes it an ideal building material for all building types — from modular and pre-fabricated units, to multi-story hotels, hospitals, schools as well as stand alone multi-story housing. LGS is suited to almost any type of building design or application and and with one of the highest strength-to-weight ratios of all construction materials, it is possible to produce architectural designs not possible with traditional methods. LGS construction is cost-competitive compared to traditional methods and, depending on the building design, can be cheaper when evaluating the overall build cost due to its advantages in speed of construction, accuracy and reduced labour costs. LGS construction is also highly scalable, which means it is an ideal solution for mass production and repeatable designs – a huge advantage in areas in need of affordable, quality housing, specifically in developing countries. Long-term building maintenance costs are also reduced as steel is resistant to rot, mould, termite and insect infestation. With traditional methods, it is common for builders to factor in up to 20% material wastage in the total cost of a project. Adding this up over consecutive projects, wastage can be equivalent to as much as 1 building out of every 5 buildings constructed. But with LGS waste is virtually non-existent (and in the case of a FRAMECAD Solution, material wastage is less than 1%). And, steel is 100% recyclable, reducing the overall environmental impact of any waste created. Additionally, LGS is a ‘dry’ system, which means there is no need to use (often limited) water resources for mixing cement or other materials. If you want to find out more about the advantages of LGS as a building material and in particular, how the FRAMECAD System will drive ROI and value for your business, download our eBook for free today.